Huge expansion arising from pancreas. 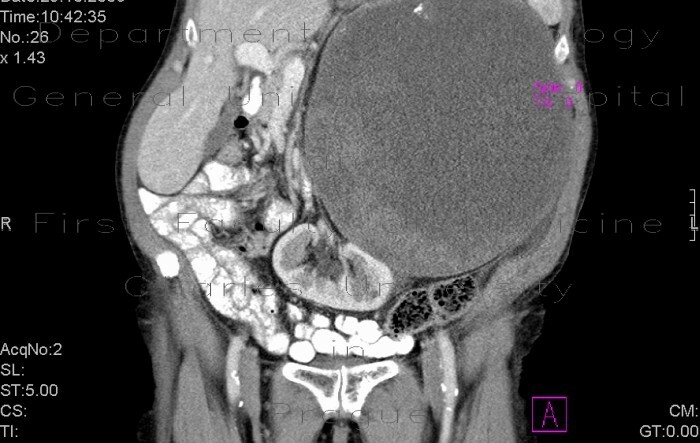 Most of the mass is cystic, some solid component can be seen along its medio-caudal border. Dislocation of left kidney.